Designed for native control of Serato DJ. The DDJ-SR delivers all the superior performance features of the top-flight four-channel DDJ-SX, including an inbuilt Serato sound card and pre-mapped controls for the included Serato DJ software. The DDJ-SR incorporates features from our pro-range include large, low-latency jog wheels and Slip Mode – which silently continues track playback during loops, scratches and reverses, bringing the music back in the right place when the DJ is done. Sixteen rubber Performance Pads are assigned to four modes – Hot Cue, Roll, Sampler and Slicer – to add a physical element to mashing up tracks. Inherited from the new club-standard CDJ-2000nexus, Slip Mode silently continues track playback during a loop, reverse or scratch and brings the music back at the right point when the DJ exits the manoeuvre. 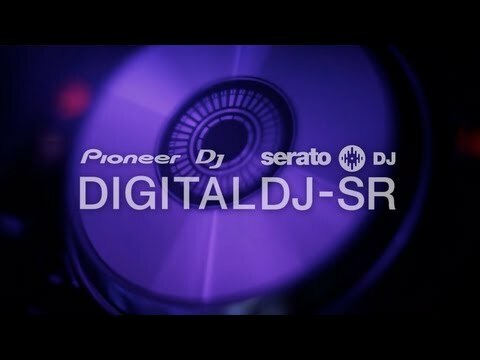 The DDJ-SR’s low-latency jog wheel ensures DJs always get the scratch response they expect. The DDJ-SR is smaller and lighter than the DDJ-SX and has support for USB power – so DJs can fit the controller in a bag and enjoy fuss-free set up wherever they want to perform. The high-quality faders are robust and durable, while the steel top plate and aluminium jog wheels give the DDJ-SR a premium finish.